Japan : When and where to go? 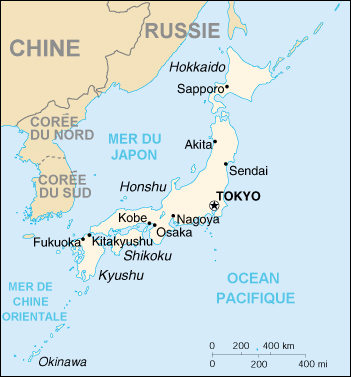 Describing the climate of Japan is not easy: The archipelago, long and covered with mountains, does not has the same climate characteristics in the north as the south. In the north, the summers are short, winters last for months and snow is common, particularly in the West, whereas in the South, the weather is more hot and humid. At the end of summer, it is not uncommon to suffer the onslaught of typhoons, accompanied by torrential rains. Autumn brings mild temperatures with beautiful colours in the vegetation: This is the ideal season to visit Japan. You will probably prefer this season to spring which, despite the undeniable charm of its flowering cherry trees mentioned by all the poets, sees Japanese tourists invading the most attractive places. Japan will surprise you with its capacity to combine tradition and modernism: Geisha and manga, robots and samurais, Zen gardens and skyscrapers, everything seems paradoxical; however, it all creates a certain symbiosis. The home of bonsai and haiku, Japan has a connection with time which often disconcerts westerners: You will probably need some patience to learn to enjoy the beauty of the moment, but you will certainly appreciate the countless gadgets conceived using advanced technologies. Various airlines serve Japan on a regular basis. A valid passport is required and a visa is required to stay more than three months. The currency in circulation is the yen. Japan is supposed to be one of the most expensive countries in the world for tourists but this is more fiction than fact. You can eat an average meal for €20 and find a decent double room for €50. Note: Do not give tips in Japan! For meals you can choose between traditional restaurants, more or less sophisticated, snack vans situated by the roadsides or take away meals sold in stalls near to the train stations or department stores. To help you choose, fake food dishes are frequently displayed in the restaurants. Popular souvenirs from Japan include fans, kimonos, prints, porcelain objects, kites, rice straw sandals, teapots, mobiles of small bells... Any of these will be certainly be appreciated by your friends and family.